Daniel Tarullo at the Federal Reserve in Washington in 2010. WASHINGTON — The country’s most influential Wall Street regulator is a white-haired, bushy-eyebrowed former aide to Ted Kennedy you’ve probably never heard of. Daniel Tarullo has served for the past eight years as the Federal Reserve’s big bank guru — or tyrant, depending on your point of view — and has probably done more than any other individual to revamp the rules designed to keep the largest financial institutions from tanking the US economy, which they nearly did in 2008. One analyst recently called Tarullo “one of the most powerful US banking regulators since Alexander Hamilton,” the first US treasury secretary, who is known as the architect of the country’s banking system. 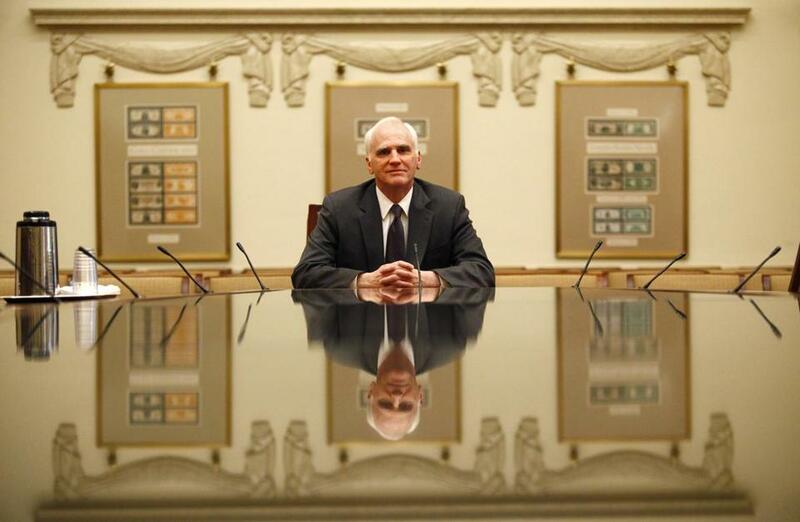 Tarullo has served for the past eight years as the Federal Reserve’s big bank guru. Now Tarullo is packing his bags and leaving Washington, just as Republicans are sharpening their knives for the 2010 Dodd-Frank Act that fueled much of the change to how Washington patrols the financial system. His last day at the Fed is Wednesday, after which the former Harvard Law professor plans to return to his native Boston, at least temporarily, to spend several weeks as a distinguished fellow at MIT’s Golub Center for Finance and Policy. As Washington struggled to respond in the aftermath of the worst financial crisis since the Great Depression, Tarullo pushed the Fed and other US and global regulators to write tough rules designed to rein in Wall Street’s high-flying ways. With the blessing of then-Fed Chairman Ben Bernanke, Tarullo also overhauled the Fed’s approach to overseeing the biggest banks — stripping power from the 12 regional Fed banks around the country and centralizing it within the Washington-based Fed board. “He has been invaluable. He is a very thoughtful regulator,” said Barney Frank, the former US representative from Massachusetts and a lead architect of the financial law that bears his name, adding that Tarullo — who joined the Fed in January 2009 — provided advice during the law’s drafting. The news of his impending exit triggered alarm bells among financial reform advocates and quiet celebration on Wall Street. “Dan’s good work shows just how powerfully important this position is and why we must have someone in this role who is independent from Wall Street and has demonstrated a willingness to go toe-to-toe with the big banks,” Senator Elizabeth Warren said. The Massachusetts Democrat is worried the president will nominate “another Wall Street insider” to replace him. But Tarullo rejects conventional wisdom that says President Trump’s victory spells a return to poorly regulated risk-taking with the global economy. “I think there is a reasonable chance that what I would regard as the core of this stuff is not subject to a fundamental change,” Tarullo said in a recent interview at his office at the Fed, referring specifically to more rigorous rules on capital reserves, liquidity, and risk management, designed to safeguard individual banks from posing existential risks to the entire financial system. Anyone who has spent 10 seconds in Tarullo’s office knows about his Massachusetts roots, which are featured on his walls: a picture from the first game of the Red Sox’ 2007 World Series; a shot of the beach in Gloucester, where his family vacations; and a 1930s view of the State House, looking up from the intersection of Tremont and Park streets. Tarullo was born in Boston and graduated from Roxbury Latin School in 1969 — heading off to college at the tender age of 16. He taught at Harvard Law School but didn’t make tenure. Instead, he joined Senator Ted Kennedy’s staff as a senior policy adviser on employment issues. That was followed by a stint in the Clinton White House in various economic policy roles. In the spring of 2005, while teaching and honing his specialty in financial regulation at Georgetown Law School, he was invited by then-Illinois Senator Barack Obama’s aides to one of a series of small policy-focused dinners Obama was hosting. When Obama decided to run for president shortly thereafter, Tarullo became a top economic adviser. He even spent a week in Iowa meeting with caucus-goers on Obama’s behalf. His expertise became particularly relevant, and his role grew, as the opening chapters of the 2008 financial crisis unfolded in the closing months of the 2008 presidential campaign. The same month Lehman Brothers declared bankruptcy, Tarullo had a book published that argued for tougher capital rules and more aggressive supervision of big banks. Bankers chafed under Tarullo’s reign at the Fed. They felt the rules he pushed went too far, that he too often dismissed out of hand any critiques or other input they offered. But none ever publicly criticized him, a sign of the power he wielded. The closest anyone came was in 2011 when Jamie Dimon, the chief executive of J.P. Morgan Chase, took the mike at a public forum and challenged Bernanke about the Fed’s agenda — which everyone knew was Tarullo’s agenda — of “even higher capital requirements” and other rules. “Do you have a fear like I do that when we look back and look at them all, that they will be the reason that it took so long for our banks, our credit, our businesses, and most importantly our job creation to start going again?” Dimon said. Tarullo, without prompting, pushes back at that critique even now. Not only are the major US financial firms much stronger than they were before the crisis, they’re also “making money and doing lending at a pretty good pace,” he said. Tarullo doesn’t see Dodd-Frank as a sacred, unassailable text the way Obama administration officials did and some liberal Democrats still do. For years, he has been advocating legislative changes that would help lessen the regulatory burden on small- and medium-sized banks. He plans to use his final speech in office — scheduled for Tuesday at Princeton University — to lay out changes to the law he thinks should be made, as well as those elemental pieces Republicans should leave alone. What worries Tarullo more than Trump-inspired deregulatory fever is complacency. The financial crisis is almost 10 years old. Urgency dissipates. Calculations over the right trade-offs between safety and growth start to change. “In all honesty, I’d be concerned in any circumstance,” whoever was in the White House, “because over time memories just sort of fade,” he said. 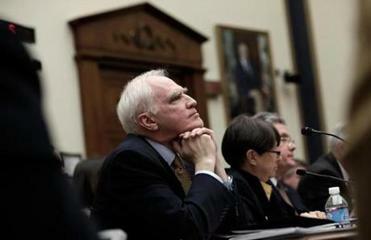 Tarullo contends any big Dodd-Frank rollback would face tough odds on Capitol Hill right now. And conservatives and liberals actually aren’t that different when it comes to the biggest banks, he notes. Both rail against Wall Street titans being “too big to fail,” or so giant their collapse could take down the whole economy and so the government had better bail them out. Case in point: House Financial Service Chairman Jeb Hensarling, an ultra-conservative Texan with close ties to the White House, has big plans to rewrite Dodd-Frank. But his main criticism for years has been that Dodd-Frank didn’t fix “too big to fail” and his legislation pushes even steeper capital requirements than Tarullo embraced. Frank credits Tarullo’s above-average political instincts for helping him achieve what he has. To what will he next apply those political instincts? Don’t expect to see him pop through the revolving door onto some big bank board. That is not Tarullo’s style. He says he hasn’t started looking for his next permanent job and won’t until he leaves the Fed. He says there’s a good chance he’ll go back to teaching.